Whether you are trying to improve safety or efficiency, the WX Series Ultrasonic WeatherStation® Instruments meet a growing need for real-time, site-specific weather information. 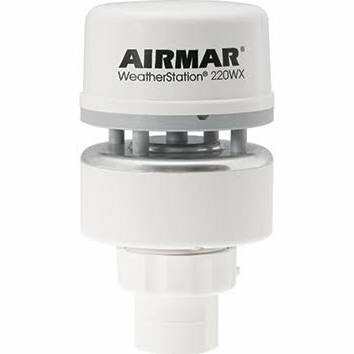 These accurate units offer weather specific data to help organizations monitor weather conditions on-site or in remote locations. These all-in-one weather sensors measure apparent wind speed and angle, barometric pressure, air temperature and wind chill temperature. 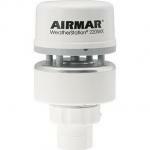 With the optional internal compass and GPS, true wind speed and direction can also be calculated. 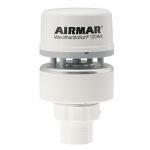 The UV stabilized, compact housing is fully waterproof. 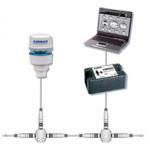 CABLES SOLD SEPARATELYFeatures: WeatherStation® instruments combine up to seven se.. 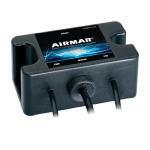 The U200 Gateway can interface with NMEA 2000® devices on a NMEA 2000 bus using a personal computer ..
Airmar’s WS-USB converter allows the NMEA data coming from the Airmar WeatherStation Instruments, G..